A crown is a restoration that covers or “caps” a tooth to restore it to its normal shape and size, strengthening and improving the appearance of a tooth. 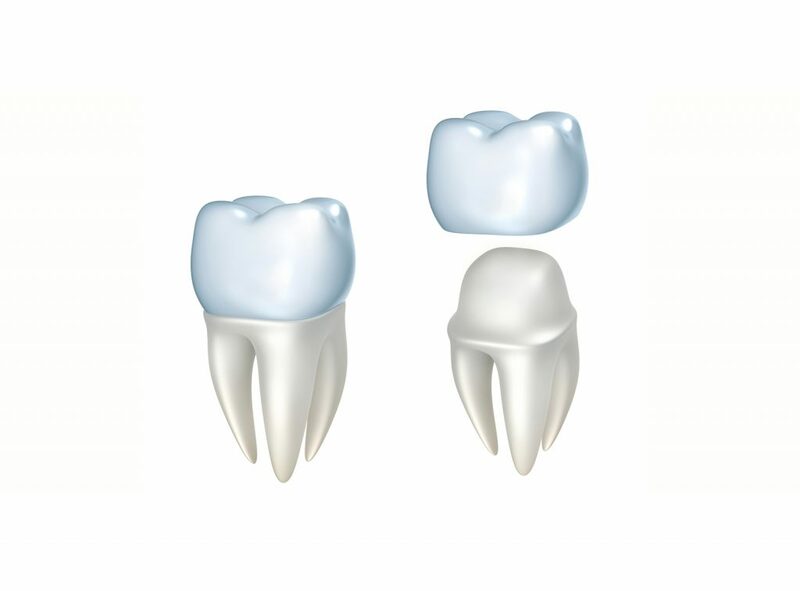 Crowns are necessary when a tooth is generally broken down and fillings won’t solve the problem. If a tooth is cracked, a crown can hold the tooth together to seal the cracks so the damage does not get worse. Crowns are also used to attach a bridge (replacement for missing teeth), restore fractured teeth, or cover badly shaped or discolored teeth. A wide variety of materials is used including gold, zirconia, and lithium disilicate restorations. The selection of a material will depend on your aesthetic and functional needs. Generally, crowns are placed in 2 appointments. Initially, the tooth is prepared or reduced so the crown can fit over it. Impressions are made for the dental laboratory to make the crown. A temporary crown is placed until the permanent crown is made. On the second visit, the dentist will remove the temporary crown and fit and cement the permanent crown.